Far in the future, the planet Solos is claiming independence from Earth's vast galactic empire. A huge space station — Skybase — orbits the planet, forming a bridgehead for the empire's control of Solos, and is commanded by the Marshal, who is determined to retain his power over the planet at any cost. Solos's atmosphere is poisonous to humans in the daylight, and the Marshal is behind secret experiments to change the planet's atmosphere into one more similar to that of Earth. But down on the planet, changes are happening amongst the native population. A disease that causes mutation has appeared and is spreading fast. 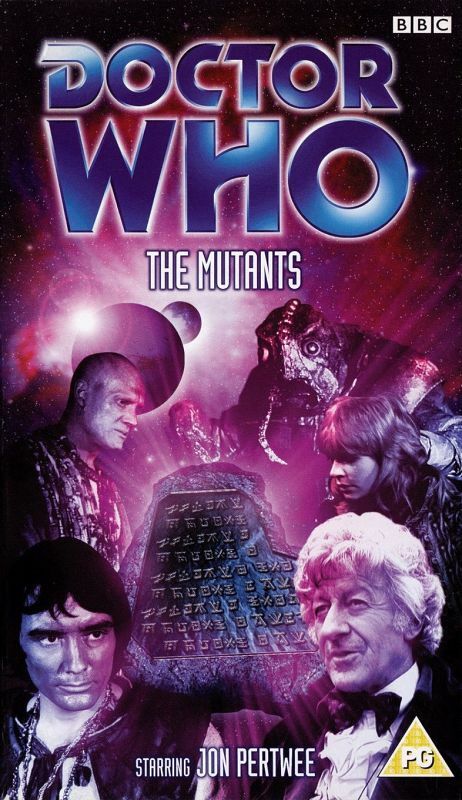 This story was broadcast on BBC1 between 8 April - 13 May 1972. 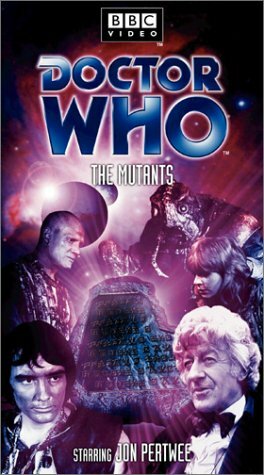 The Time Lords choose the Doctor for a special task — a mission so secret that neither the Doctor or his assistant Jo Grant know the true nature of their assignment. Far in the future, the planet Solos is claiming independence from Earth's vast galactic empire. A huge space station called Skybase orbits the planet, forming a bridgehead for the empire's control of Solos, and is commanded by the Marshal, who is determined to stay in control at any cost. Solos's atmosphere is poisonous in the daylight, and the Marshal is spearheading a scheme to change the planet's atmosphere, making it more accomodating to humans. But down on the planet, the native population is changing. A disease that causes mutation is spreading fast. The Doctor finds himself in a race against time to save Jo's life, to find a solution to the mutant problem, to complete the Time Lords' mission, and to thwart the Marshal's plans.